Are Directories Still Worth It For SEO? We often hear customers say; "We tried link building and submitted the website to lots of directories, and we read that directories are dead?" Hold the phone! - Directories Dead? It is true that to properly build your link profile in 2018 you should create content that answers a question or invokes further conversation and natural inbound links to this high-quality content, but to presume that directories do not have a place in modern search engine optimisation is like saying SEO doesn't matter. Listing on UK directories will provide signals to Google and other search engines that your site is found in the UK. The number of UK based links will firmly advise Google that your website should be considered as a UK business and that you are relevant to the search query. Directory links help to increase your authority, how? 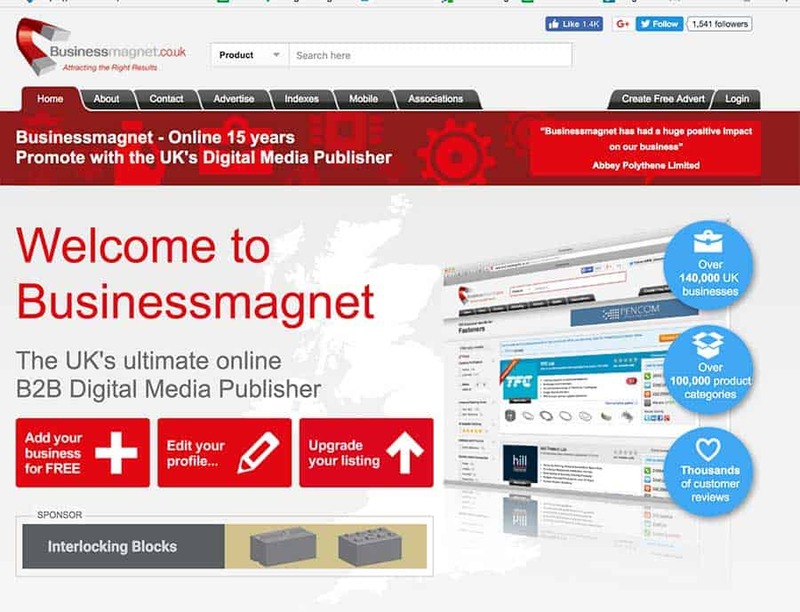 Well, directories like Business Magnet and Business-Directory.org.uk provide do follow links which means they pass on some authority to your site and this is a signal to Google that you are trustworthy, which is why some directories are more effective than others. Directories can funnel traffic to your site, which can be costly to acquire on google via PPC. This traffic can be small numbers, but it all helps and if it's just 10 per month, this is still 120 per year. A future customer might not go through the same scrutinisation via a directory that they might if they just found you organically. So directories can provide an associated trust, which has commercial value to your business. Some directories or lead generation sites provide a prequalification by their very nature, enquiring from them means that a prospective customer is filtered by the process. Often they are a better customer as a result of this because their commitment is earned and they are likely to spend more. Directories are very much alive, so select your chosen partners well, review the site, their policies and if they provide a do follow link. Don't overdo it and remember that it's quality over quantity, so look for recommendations online and check for your self.